Yes, I know I haven’t posted in a while. I’ve been busy. My Dad used to say, “that’s not an excuse”! No, it’s not, but it is an explanation. We’ve been Grand parenting. Never heard of it? It’s what all retired folks with children do when their kids, have kids. It requires vast amounts of patience, good humour, and most importantly, poor hearing. Kids are noisy, no doubt about it. What do you think? Do we go deaf after years of listening to loud music, cars and kids, or is it a defence specifically for older folks so they can continue to spend time with very small children? I’m going with the latter, never mind all the concerts I attended in my youth that were in excess of 100 decibels. What’s that? Speak up I can’t hear you!!!! It’s interesting, visiting only every 6 months with our daughters and their growing families. We get to watch the grandkids grow up literally by leaps and bounds, and we get to spend the summers with them, when there is always so many more things to do. Now, there is a down side to this, we miss things, like birthdays (at least we call), first steps, first teeth, but we hope the quality time we do spend with them more than makes up for it. A June Baby! The one birthday we'll never miss! One of our daughters and her husband, moved to Penticton, which is in the southern interior of the province in an area called the Okanagan. It’s a desert area that specializes in wine grapes, tree fruits and tourism, with high temperatures and low rainfall. My kind of place after living on Vancouver Island for 35 years. This is currently where we call home. Now, don’t get me wrong, we love to visit our youngest daughter and her family on Vancouver Island, but she has her husbands Mom and Dad around a great deal of the time. They help the kids out around their house, they babysit, give them advise, even take them on holiday, something Richard and I could never afford these days. So we visit, at least 2 or 3 times over the summer, but we don’t spend large amounts of time there as we feel they are being well looked after and we just kind of get in the way. 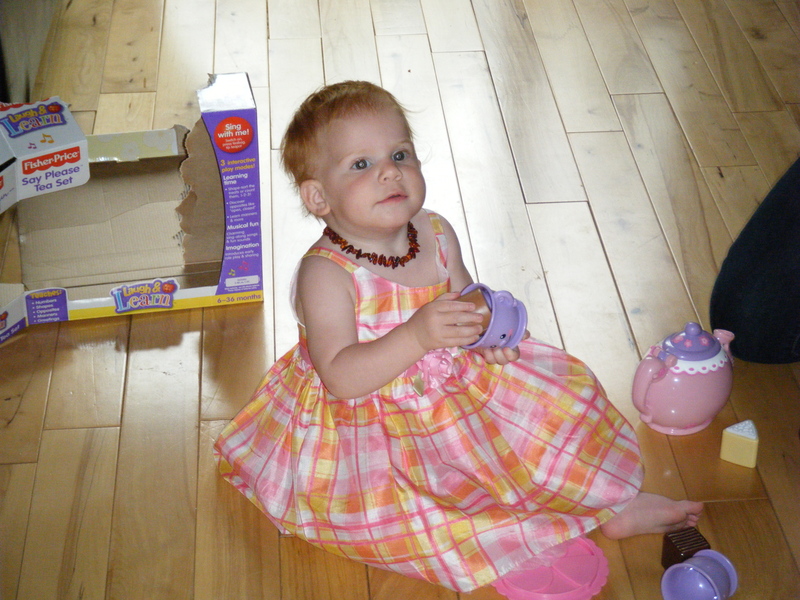 The other daughter only has one child, but her in-laws live a long ways away and her husband is estranged from them, so we feel we can be of more use here. That’s one of the reasons, that plus we just can’t afford to be going back and forth on the Ferries anymore, not when a one-way fare for us, Grummy and our car is almost $200.00. Not to mention that the average summertime temperature is around 25-28 c, while Victoria, on Vancouver Island is around 19-20 c and I like it warm! So we stay in beautiful, sunny Penticton, a tourist destination. This truly is a place that relies on tourists and to keep them and their dollars flowing, there is a festival of some sort or another every weekend. Not to mention that within 50 kilometres of Penticton are many more towns and cities that also offer tourist entertainment. One of the many Kid's Festivals in the area. It’s a grab bag of things you would like to do, with virtually something for everyone thrown into the mix. Like Elvis? There’s the Pacific Northwest Elvis Festival, where impersonators vie with each other for the title of Best in the World. Interested in classic cars, then just for you we have the Peach City Beach Cruise, not to mention all of the other Show and Shines that take place in the area over the summer. 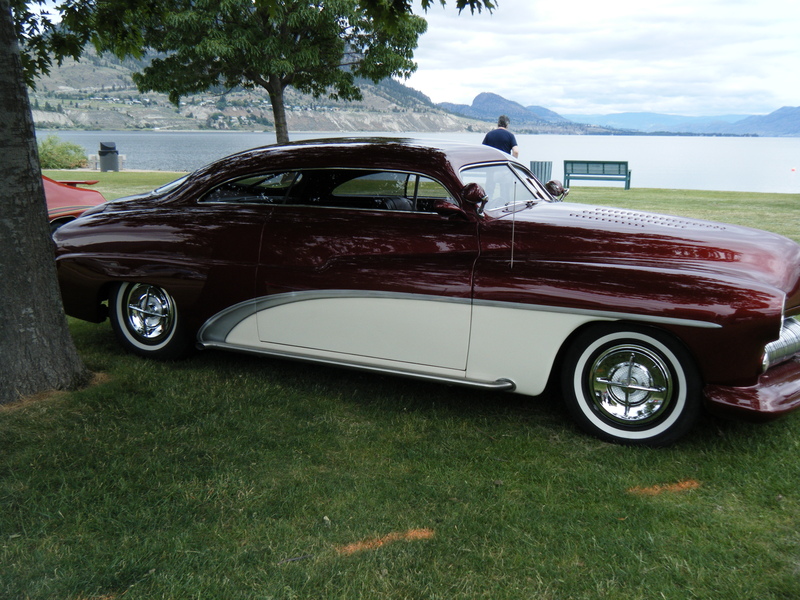 1 of more than 800 classic vehicles on the beach last weekend. Want something for the kids to do? 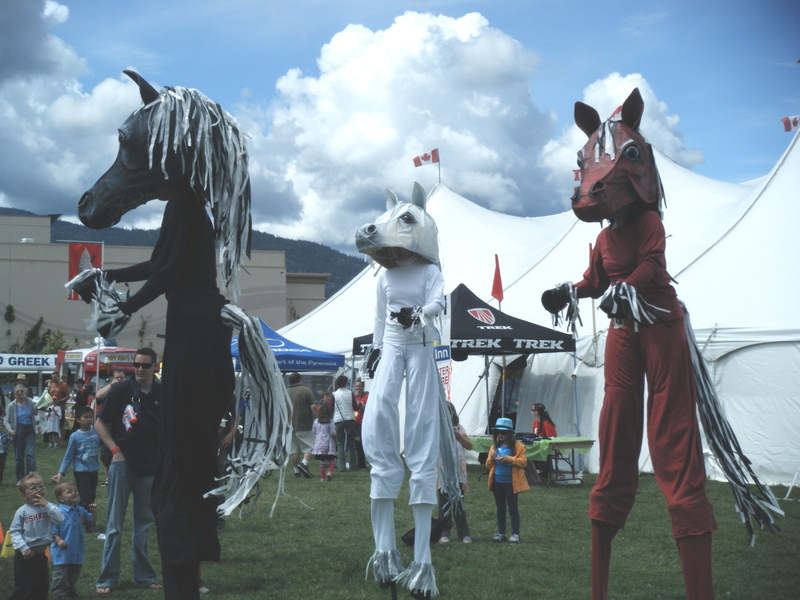 Then take them to the Kids Festival in either Penticton or Kelowna, or the Action Festival in Summerland. Do you enjoy lifting weights and looking at ripped bodies? Come on over and see the Mr. and Ms. Muscle contest. Are you a runner, biker, or swimmer? Maybe you’d enjoy seeing the Ironman Triathlon that Penticton has hosted since 1983. There are rodeos, bike races, and festivals for just about anything you can think of, and some that would never occur to you. Most importantly though, there is something to do every weekend, even if it’s just going to the local Saturday Market. And if you don’t want to do any of those things, there are the wineries, lots and lots of wineries, many of which are medal winners, whose products are sought after by those in the know. You could spend days just visiting and sampling, while enjoying the warm temperatures and beautiful scenery. How about just hanging at the beach, sailing, fishing, kayaking, or swimming? Did I forget to mention that there are more than 30 beaches in the Okanagan area from Osoyoos to Salmon Arm, with Okanagan Beach at the north end of Penticton, considered to be the very best? We’ve been busy with both of our kids, helping with the chores on the Island when we first got back, then helping with the same things in Penticton. I’ve been back to the island, and stayed for 2 weeks helping my daughter while her husband was at a conference in the States, and just visiting. We even managed to do a few touristy types things while I was there. Feeling cold and wet? Depressed? 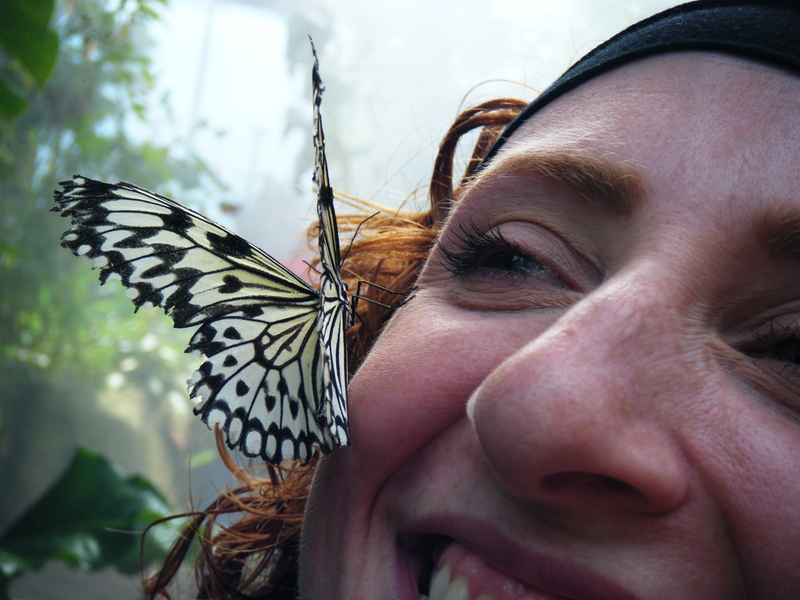 A visit to Butterfly World in Brentwood Bay will cheer you right up! Right now, we have the house to ourselves as the eldest and family have headed over to the island for a camping holiday! Ah blissful quiet!! Next week we are heading out on our own to see the Arlington Air show in Washington State, then it’s back to the Okanagan for a while. We’ll see the Island kids once we get back as they will be up this way for some holidays with my son-in-laws parents and if I know them, they be visiting some of the local wineries. I can hardly wait. In the meantime, I’m cranking up the music, pouring some great Pinot Grigio, and waiting for the cherries to come ripe. God, come October, we’re really going to need a vacation!